Send your superhero knowledge soaring as you enter the thrill-filled world of LEGO Batman! 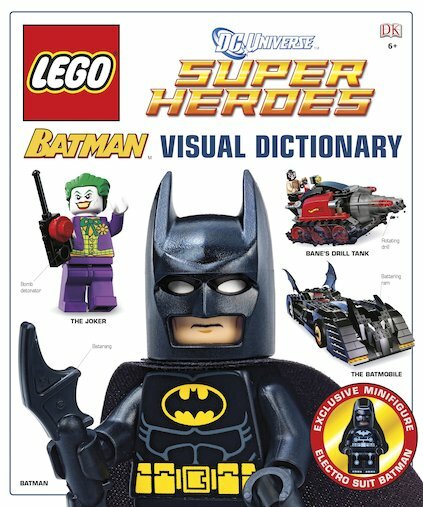 Including cunning Catwoman, daredevil Robin and the wicked Joker, this exciting dictionary is packed with photos and factfiles of all your favourite heroes and villains. Add an exclusive minifigure from the LEGO Batman universe and you’ve got an out-of-this-world experience. This is a heroic exploration of Batman’s bravest adventures and beastliest foes, which combines DK’s famous Visual Dictionary format with a brand new theme: the adventurous world of the Caped Crusader! IG1240L Lexiles are the global standard in reading assessment. They are unique as they are able to measure a child and a book on the same scale – ensuring the right book gets to the right child at the right time.